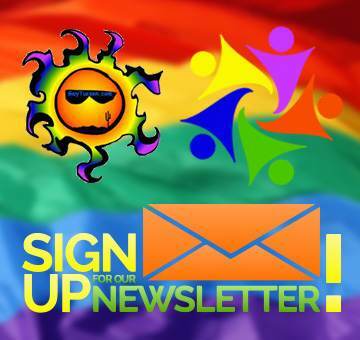 G3 is Tucson’s premier social event planning group for Tucson’s gay community and their friends. They host a gay happy hour that takes place minimum every month usually lasting from 5:30 to 8:30PM at a different pop-up locations around town. G3 often features great DJ’s and drink specials to keep the night going! Looking to wrap up the work week with a few friends and some fun? G3 is a great way to hang out with friends and meet new people in a comfortable, welcoming atmosphere. G3 seeks out unique Tucson locations to host their monthly get-together. From exciting downtown nightclubs to newly-minted restaurants, G3 offers a new experience with each event! The organizing staff also spares no expense with the decor and ambiance to truly pull you into the event. With awesome drink specials and food options and a popular DJ spinning the tunes, every G3 is a better party than the last! G3 Gay Happy hour is an inclusive event for the entire Tucson population, but it caters to the gay guy community providing diverse entertainment options. You are welcome regardless of gender, identity or sexual orientation! Gay, Lesbian, Straight, Trans but the only thing is this group is strictly 21 and over because the events always include alcohol. As the location changes with each month, be sure to check our blog for updates on the next great G3 Happy Hour event and other events like pool parties. We always post G3’s events on our blog and have been for a long time. GayTucson.com has noticed that the events seem to keep getting better and better and more and more extravagant as time goes on. The community is growing! You must go see for yourself. If you type in G3 into our search bar you can look at the posts about their past events or Find out more about G3 Tucson here.